Campaigners celebrated in 2016 when Parliament first voted to end VAT on sanitary products – the so-called ‘tampon tax’. But two years later, women across the UK are still waiting for action – the government has said eliminating the 5 per cent VAT on sanitary products, which are currently taxed as ‘luxury items’, is now being stalled at the EU level. Some progress is certainly being made – in August, the Scottish government announced, in a world first, a new scheme that would make free sanitary products available to students at all schools, colleges and universities in Scotland. Now, Unite has launched its own campaign to give free access to tampons and pads in workplaces across the UK. “We wanted to campaign against period poverty but we wanted to go beyond this and make it a workplace campaign too,” explained Unite regional officer Suzanne Reid. 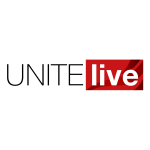 Reid is leading Unite’s Period Dignity campaign, which started in the North East Yorkshire and Humberside region but is now being rolled out throughout the union. Reid told UNITELive that the union is setting its sights even higher with its Period Dignity campaign. “We want to change the entire conversation around periods,” she said. “No one should have to scurry off secretly to the toilet or feel embarrassed about menstruation. The number of young women who cannot afford to buy sanitary products is shocking – a Plan International UK survey found one in 10 girls or women aged 14 to 21 are unable to afford sanitary products. And more than one in 10 have had to improvise sanitary wear – for example wearing a sock or using toilet paper – because of affordability issues. Unite is fully supportive of campaigns to tackle period poverty but Reid explained why Unite chose to go beyond affordability. “Period poverty campaigns, which are in themselves absolutely crucial, may focus on, for example, donating sanitary products to food banks. We at Unite are seeking to complement this work because we believe we shouldn’t limit the conversation to affordability. Unite’s Period Dignity campaign has had its first major success after Rolls-Royce Washington in Sunderland this week (September 3) signed up to the campaign’s charter and has agreed to offer free sanitary products at no costs in its toilets. “In today’s world no woman should feel uncomfortable about menstruation,” said Unite convenor at Rolls-Royce Washington Gary Andrews. “It has been a taboo subject for too many years. “Unite has encouraged the company to show its support by putting in free sanitary vending machines in all female toilets on the Washington Rolls-Royce campus as well as signing up our site to Unite’s period dignity charter,” he added. Female staff at Rolls-Royce Washington were thrilled by the company’s support. Unite member and Rolls-Royce worker Sarah Turnbull agreed. Reid likewise praised Rolls-Royce’s support and urged other workplaces to follow their lead. She told UNITElive that beyond workplace campaigning, Unite is also working with the teaching union NASUWT to campaign for free sanitary products for both students at staff at schools. 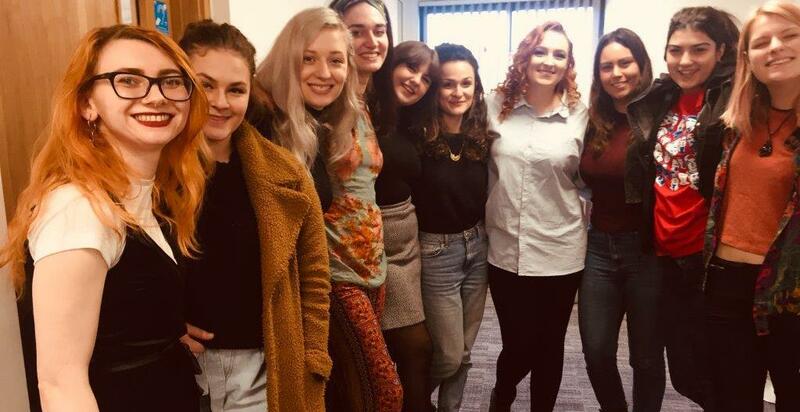 The union is likewise looking to link up with Hey Girls, a company in Scotland that makes a range of environmentally-friendly sanitary products. Because Hey Girls donates a pack of pads or tampons for every product a customer buys, Unite is hoping workplaces that sign up to the union’s Period Dignity charter will use Hey Girls’ products, in effect tackling period poverty while supplying their workplace. Reid added that Unite will not let up in the fight against the ‘tampon tax’ either. Unite national officer Siobhan Endean hailed Unite’s Period Dignity campaign as part of the wider fight for women’s equalities. “Period dignity is essential to health and well-being at work,” she said. “Women workers should have access to women’s toilets, to regular breaks, with sanitary protection provided in all women’s toilets. Unite welcomes Rolls-Royce’s lead in signing up to Unite’s Period Dignity charter and we call on all employers to follow their lead. Find out more about Unite’s Period Dignity campaign, and how you can get your workplace involved, here.